We are honored to be recognized again for our quality of service and dedication to the industry. Wilmington Trust, N.A. 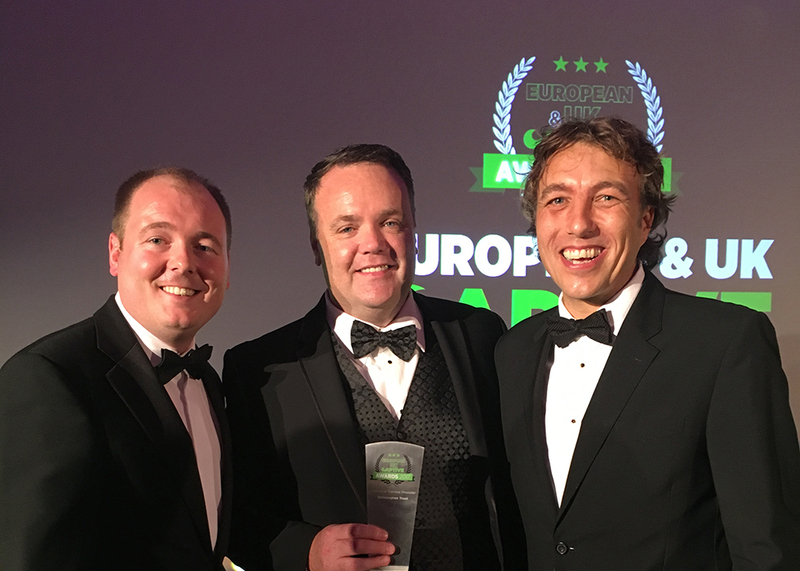 was named “Collateral Service Provider of the Year” at the 2017 European & UK Captive Awards, organized by Captive Review magazine. Wilmington Trust’s Insurance Collateral Solutions team accepted the award at a ceremony held in London on Oct. 10. This is the third time Wilmington Trust was awarded the top recognition in the Collateral Service Provider category in the past two years. The company received the award at the UK Captive Service Awards in March of this year, and at the US Captive Service Awards in August 2016. Captive Service Award winners are selected by a panel of industry experts and captive owners. Service providers are judged on a number of factors including feedback and testimonials from industry professionals. The Collateral Service Provider category is open to firms providing collateral service to U.K. and European owned captives. Judges evaluate various criteria including accessibility, customer care, client relations, and tailored services for clients. Judges also consider a firm’s business growth and increase of market share. Wilmington Trust provides collateral trustee services for a wide variety of insurance, reinsurance, captive, and insurance-linked securities (ILS) clients within the United States and globally. Wilmington Trust, N.A. provides Corporate and Institution Services including institutional trustee, agency, asset management, retirement plan services, and administrative services for clients worldwide who use capital markets financing structures. The corporate and institutional division is distinguished from many competitors by its status as a core business of Wilmington Trust, as well as the experience and expertise of its global staff and its multi-jurisdictional presence. Wilmington Trust also provides Wealth Advisory services with a wide array of personal trust, financial planning, fiduciary, asset management, and family office solutions designed to help high-net-worth individuals and families grow, preserve, and transfer wealth. Wilmington Trust has clients in all 50 states and in more than 90 countries, with offices throughout the United States and internationally in London, Dublin, and Frankfurt. For more information, visit http://www.WilmingtonTrust.com. Wilmington Trust’s Robert Quinn (center), accepts the “Collateral Service Provider” award from Richard Cutcher (left), editor of Captive Review, and Nick Morgan, publishing director for Pageant Media.